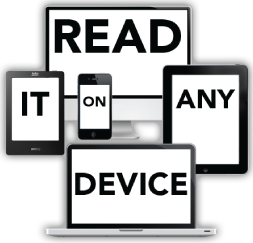 If you have purchased e-Books from Kobo eReader Store and you want to read your eBooks on Any Device or eBook Reader then you must strip Adobe Adept DRM Protection to free them from restrictions. 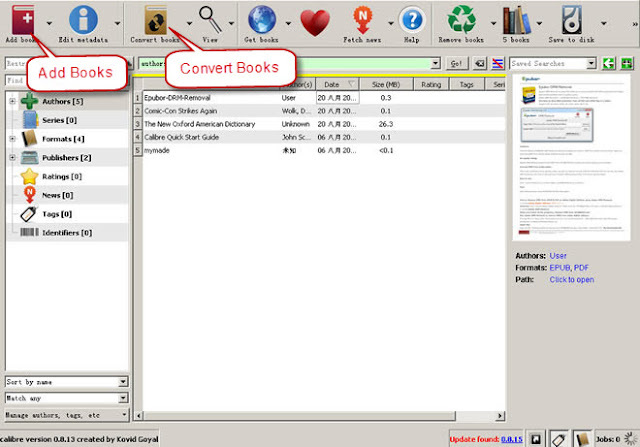 In this article, I am going to show you how to remove DRM easily by using an open source popular eBook Converter Software called Calibre. It is actually same as the regular Adobe Digital Editions DRM Removal Method because Kobo eReader has the same DRM Protection scheme. If you have any question or concerns about whether is it legal or not you are welcome to see our DRM-Removal Policy. Once you have installed Adobe Digital Editions, you must authorize it to an Adobe ID. To do so, you have to go through the following steps (See Below). Go to (Help menu/Authorize Computer). Choose Adobe ID for "eBook Vendor". Enter your Adobe ID and password. 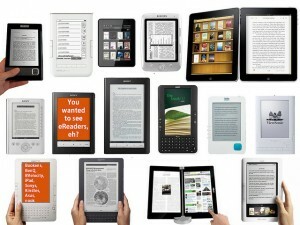 Download your protected e-Books from Kobo Store Library. Now, just click on the "ADOBE DRM EPUB" button beside the DRM Protected e-Book to download a ".acsm" file. Once you have finished downloading right-click on it and select open with Adobe Digital Edition. It will verify your license and then download your e-Book in either (EPUB) or (PDF) format. You can then transfer your book to Kobo eReader (or another compatible eReader). What is Calibre (DRM Removal) for Kobo eReader Method? 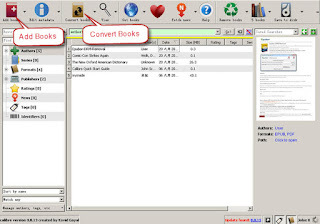 This method is the quickest and easiest way to remove DRM from your eBooks by Calibre (Free DRM Removal Tool) through Inept ePuB & Inept PDF (Calibre Plugins) and then you can convert your Kobo e-Books to any format to make them work on a tablet or other eBook Readers. This method is about how to decrypt Adobe Adept DRM Encryption and It is meant to function without having to install any dependencies but only having Calibre and Adobe Digital Editions installed. You can also get this to work without using Calibre but make sure that you install python to run those scripts and I don't recommend this because it will get harder and longer. Credits : Article, Tips and Download links are done by me (Saleem Almajed). But originally the Adobe Adept Tool was coded by (I♥Cabbages), converted to a Calibre Plugin by (DiapDealer) and a special thanks to (Apprentice Alf) for improving the plugin. How to install (ePuB & PDF) DRM Removal Plugins to Calibre? It is so easy to install Plugins to Calibre but there is something that you should consider when you are installing Unofficial Calibre Plugins (which are the plugins we use to strip DRM). Actually, I wrote a full tutorial post on How to install a plugin to Calibre successfully. After you have installed both of Inept ePuB & Inept PDF Plugins you should proceed to the next step below to configure it. How to Configure (ePuB & PDF) DRM Removal Plugins to work? Once you installed and run both of the plugins they will attempt to find location of Adobe Digital Editions Installation Folder (on Windows and Mac OS) and use Method 1 to retrieve the keys of the DRM-ed (ePuB & PDF) eBook Files. If Adobe Digital Editions is not installed on the same machine then you have to use Method 2. If successful, there will be an 'adeptkey.der' file created and saved in Calibre Configuration Directory and that file will be used on subsequent runs. So if you have Adobe Digital Editions installed on the same machine as Calibre you are ready to go. If there are already '*.der' files in the directory, the plugin won't attempt to find the Adobe Digital Editions Installation Folder. If Adobe Digital Editions is not installed on your machine you would have to generate keyfiles with ineptkey.pyw script by I <3 Cabbages. Then, you can put those Generated Keyfiles in the Configuration Directory and the easiest way for how to find the correct directory is expressed below. Go to Calibre Preferences page. Click on the 'Miscellaneous' button (looks like a gear). Click the 'Open Calibre configuration directory' button and paste your keyfiles in there. All keyfiles with a '.der' extension found in Calibre Configuration Directory will be used to attempt to decrypt a book. There is no plugin customization data for both of Inept ePuB & Inept PDF under File Type Plugins in Calibre. Then you would be able to convert your Kobo e-Books to any other format and save it. If you have already imported DRM books you'll need to remove them from Calibre and re-import them. All plugins (including both of the plugins Inept ePuB & Inept PDF) when used on eBooks under wine) should also work on Linux. Download links below have many handy plugins for Calibre which also remove DRM of several eBook formats but your only going to install both of the Plugins "IneptePuB or IneptPDF_vXx_plugin.zip" for Calibre (Kobo eReader e-Books) DRM Removal.